As National Steakhouse Month comes to close, we’ve saved the best steak and wine pairing for last. Often regarded as the most desirable cut of beef, Chef Ryan’s tender Filet Mignon stands out among The Steakhouse’s 5 cuts of premium Choice Sirloin steaks. Although the top sirloin, New York strip, prime rib, and rib eye are delicious in their own right, there’s something special about a filet, making it the perfect finale to our steak pairing blog series. Read on to discover which wine you should order from our Wine List during your next visit to The Steakhouse at the Paso Robles Inn. French for “tender fillet,” the filet mignon comes from the smaller end of the beef tenderloin, which runs along both sides of the spine. When the tenderloin is sliced along the short dimension, rough round cuts and tube cuts are created. Filet mignon comes from the cuts from the small forward end of the tenderloin, where the muscle is not weight-bearing—meaning that it contains less connective tissue, making filet mignon the most tender cut of beef available. 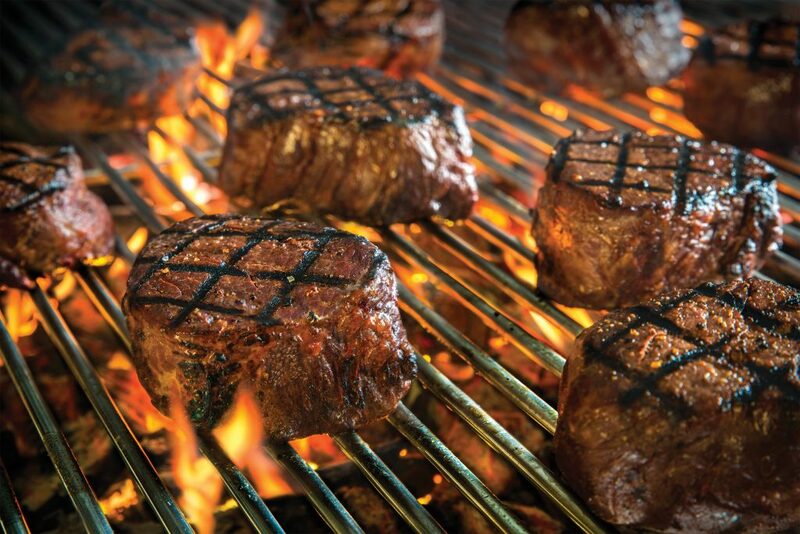 Filet mignon is highly regarded for it’s melt-in-your-mouth, buttery texture. Lean yet succulent, filet mignon has a subtle beef flavor that is enhanced when wrapped in bacon or paired with a dry, red wine. Lean cuts of beef like the filet mignon are best accompanied by a softer red wine, like the Talley Vineyards Estate Pinot Noir, available on The Steakhouse’s Wine Menu. 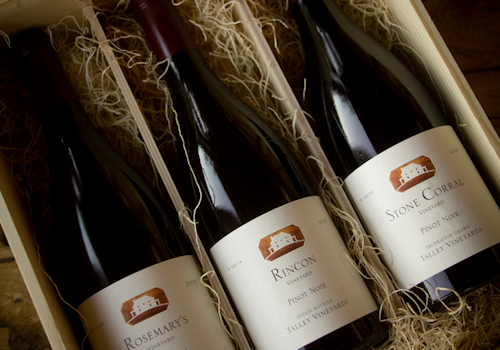 Their 2014 East Rincon Vineyard Pinot Noir pairs especially well with grilled steak, as it offers flavors of dark cherry with spicy and floral notes along with aromas of wet cement and sour cherry layered with crisp mineral undertones. As a subtle, gentler red wine, Pinot Noirs are the prime candidate to pair with filet mignon because they’re not too fruity, they’re moderately tannic, and they have savory notes that will complement rather than overpower this less flavorful, but incredibly textured steak. For a finish that is expensive yet firm, Talley’s Pinot Noir is the perfect pairing for Chef Ryan’s filet mignon. To try this pairing for yourself, make your reservation at The Steakhouse here.